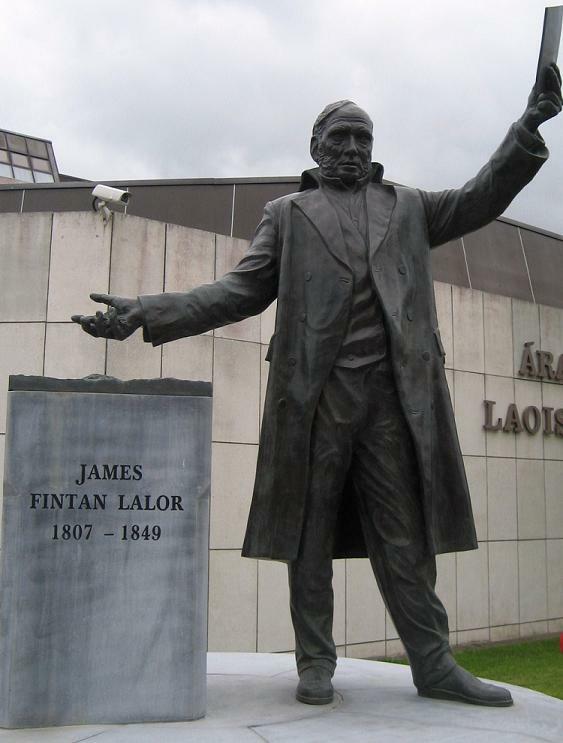 The above statue was created to mark the 200th anniversary of the birth of James Fintan Lalor. The inscription on the plinth says, “Ireland her own, and all therein, from the sod to the sky. The soil of Ireland for the people of Ireland”. The following is the text of a letter by James Fintan Lalor to C. Gavan Duffy, at the start of 1847. In it Lalor provides a critique of Daniel O’Connell’s Repeal movement, emphasises the crucial importance of the land question (ie the social question) over the purely political issue of repeal of the 1803 Act of Union, and indicates the weaknesses of the ‘moral force’ argument. Tinakill was the Lalor family home in Co. Laois. The Lalors had to rent land which their family had once, hundreds of years earlier, held as sept land. Indeed, the Lalors had been one of a group of septs that resisted the expansion of the Anglo-Norman conquest for 400 years and, from time to time, making incursions into the Pale. When these septs were finally defeated by the conquerors, most of the Lalor leaders were executed or forcibly removed to Kerry. While managing to make their way back, they did so as renters. Nevertheless, by the standards of Catholic farmers, they were certainly well-off. However, they kept a rebellious spirit – James’ father Patrick was a leading figure in the anti-tithe movement and the family had associations with the rural secret societies, Laois being a centre of agrarian unrest. In 1832 Patrick’s prominent role in the unrest led to him being elected MP for Laois. He enjoyed widespread support among the rural poor in particular although, of course, they didn’t have the right to vote. Patrick signed up to O’Connell’s Repeal movement, causing substantial arguments with Fintan. Indeed, Fintan was forced to leave home and subsequently lived in Dublin and Belfast. The deterioration of his health, however, forced him back home. But Patrick himself was to leave O’Connell’s movement, deciding that the ‘Great Liberator’ was a fraud, that O’Connell was trying to play the masses in order to enhance his own position and that fake radical rhetoric was just being used to garner mass support from the poor. Father and son relations then improved. Fintan Lalor’s opposition to Repeal and O’Connell was rooted in his feelings that the key focus for struggle by the mass of the Irish people should be the land question. What was the point of exchanging an Anglo-Irish exploiting class for an indigenous one? 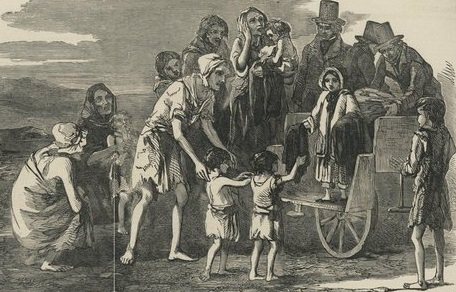 The contradiction between the political demand of O’Connell’s movement and the need of the masses for the basics of life was especially pronounced because even the early 1840s, before the famine, were marked by massive impoverishment and destitution. During the famine, Fintan attempted to organise tenant societies and rent strikes. However, his health handicapped him as an active organiser. But he was still able to write and his articles in the Irish Felon urged armed resistance to the landlords. The British had suspended habeas corpus in the wake of the 1848 Rising and Lalor was among those arrested and imprisoned, his health deteriorating again. The British were forced to release him in case he died in prison. 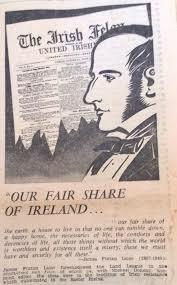 Rather than recuperating, Fintan began renewed efforts to organise another Rising in September 1849. By the end of the year, sadly, Lalor was dead, passing away just two days after Christmas and being buried in Glasnevin. While being the most important thinker of the republican movement of the 1840s, Fintan never won the leadership of Young Ireland to his perspective. 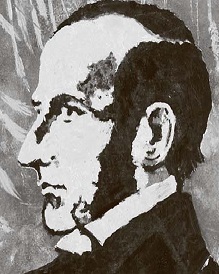 He did, however, have a major impact on a number of key activists who would carry his ideas forward into the following generation of resistance; the ideas thus played an important part in both Fenianism – Lalor’s disciples being people such as Charles Kickham, John O’Leary, Thomas Luby and Devin Reilly – and, even more importantly, the Land War led by Michael Davitt, perhaps the most important of all Fintan’s disciples. In The Separatist Idea, Pearse identified what he considered the real republican tradition in Ireland. Lalor was one of the four great prophets of the republican gospel, said Pearse. (The other three he listed as Tone, Davis and Mitchel.) 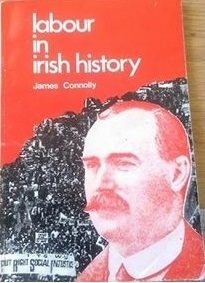 The founder of Irish Marxism, James Connolly, also identified James Fintan Lalor as one of the great social thinkers thrown up by the material conditions and movements of resistance in Ireland. On a side note, his brother Peter emigrated to Australia in the early 1850s to try his luck on the Victoria goldfields. He played a leading role in the Eureka Stockade rebellion, losing an arm in the process. He was later elected by miners as the MP for Ballarat and served in the Victorian parliament for many years and turning down a knighthood. Another brother became the MP for Laois and was prominent in the Land War and as a supporter of the Fenian prisoners. Fintan Lalor’s life was fairly short (1807-1849) and he was troubled throughout it by chronic bronchitis and a crooked spine. His contribution, however, makes him a giant of the Irish revolutionary tradition, in particular the first to establish the over-riding importance of the social question within the Irish revolution. In his day the key oppressed and exploited class was the mass of the peasantry and the key social question was ownership and control of land. Today, the key oppressed and exploited class is the working class and the key social question is the ownership and control of the means of production, distribution and exchange. 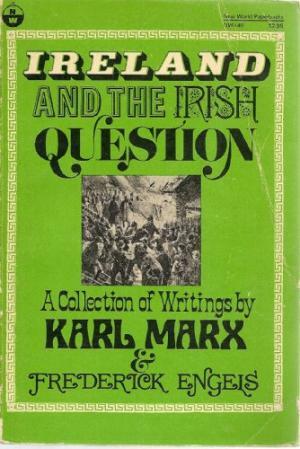 Lalor is thus the forerunner, indeed the most important forerunner , of Irish socialist-republicanism and Irish Marxism. Over the coming months I intend to write an appreciation to be called James Fintan Lalor in the Irish Revolution. My aim is to do it in both article and pamphlet form. I also plan to get his writings up on this blog. 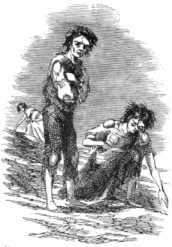 I am one of those who never joined the Repeal Association or the Repeal Movement – one of Mr O’Connell’s “creeping, crawling, cowardly creatures” – though I was a Repealer in private feeling at one time, for I can hardly say I am one now, having almost taken a hatred and disgust to this my own country and countrymen. I did not join the agitation, because I saw – not from reflection, but from natural instinct, the same instinct that makes one shrink from eating carrion – that the leaders and their measures, means, and proceedings, were intrinsically and essentially, vile and base; as such as never either could or ought to succeed. Before I embarked in the boat I looked at the crew and the commander; the same boat which you and others mistook in ’43 for a war-frigate, because she hoisted gaudy colours, and that her captain swore terribly; I knew her at once for a leaky collier-smack, with a craven crew to man her, and a sworn dastard and foresworn traitor at the helm – a fact which you and Young Ireland would seem never to have discovered until he ordered the boat to be stranded, and yourselves set ashore.